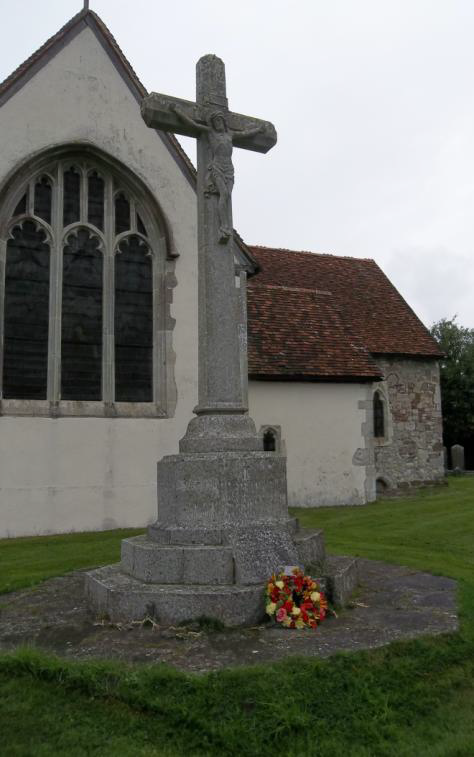 John George Parfitt was born in Binsted in 1898, the oldest son of James and Louisa Parfitt. 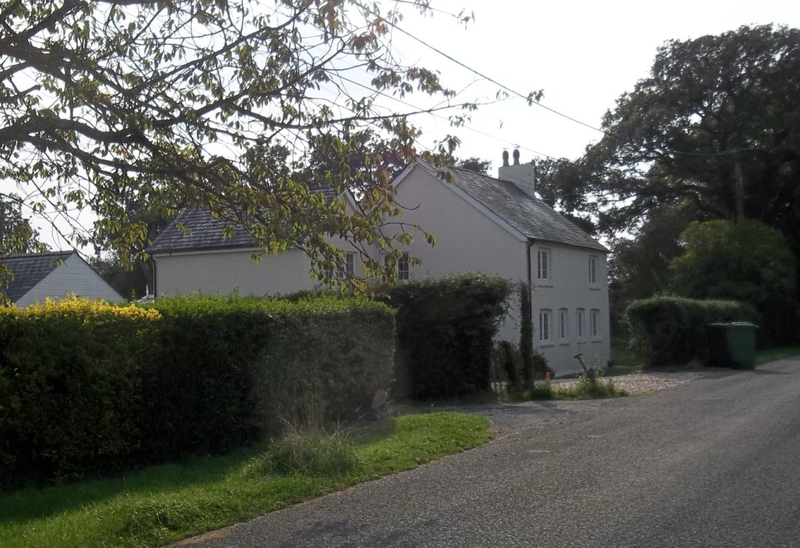 The family lived at 1 or 2 Rose Cottages on The Straits which was in the Civil Parish of Binsted though the children (John had two younger sisters, Alice Louisa and Dorothy and one brother, Henry James) would have walked from there to Kingsley School. In the 1901 census his father is identified as a nursery labourer so he probably worked at the nearby Kingsley Fruit Farm. John Parfitt enlisted as a private in November 1914 with the Dorset Regiment at Winchester (No. 5297), but was later transferred to the 8th (Service) Battalion of the Devonshire Regiment (No. 33832). It appears that he was only sixteen when he signed up and so would still have been under-age when he went to France in 1916. Recruits were supposed to be 18 before they could enlist and 19 before they could be sent overseas. 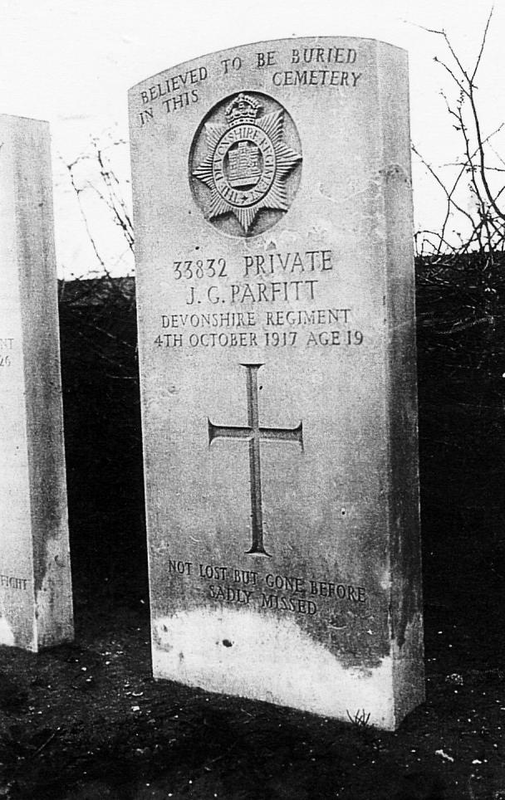 John George Parfitt is one of only nine men who are named on the Birr Cross Roads Cemetery at Ieper, West- Vlaanderen in Belgium which was designed by Sir Edwin Lutyens (Sp.Mem.4). The cemetery contains “special memorials” which means he was known or believed to be buried amongst the 336 unidentified burials. The Parfitt family continued to live on The Straits until the 1920s when they moved to Wheatley and John Parfitt still has descendents who live locally.